I keep coming across the story of Gunther and Christine Holtorf who travelled non-stop for more than 20 years! 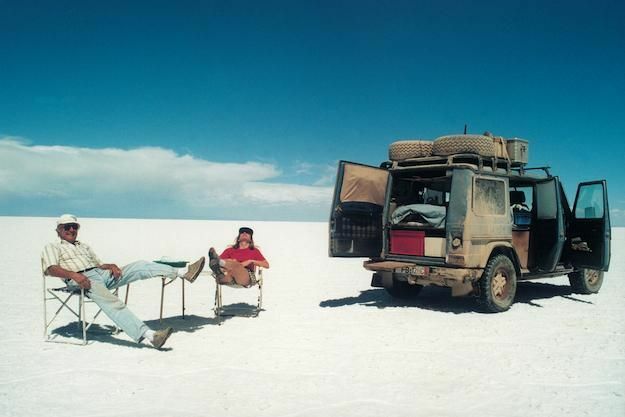 As the Berlin Wall fell, the German couple set-off on an 18-month road trip around Africa which lasted 23 years, 800,000 kilometres and 200 countries. It’s made me dream about what it would be like to travel the globe in our Airstream and just keep going and going and going until… the children leave home; Remi runs off with an Amazonian or I find my dream Zulu Warrior. How incredible are some people’s lives? I really admire anyone who manages to cast off the self imposed shackles and live outside the square.